Once upon a time I was having dinner at the home of a colleague, a professional philosopher. The conversation took an intriguing turn when my colleague revealed that he had virtually no visual memory. Of course I had known that people remember things and events with varying degrees of vivacity and in different ways. Some folks remember conversations by hearing the voices of the participants. Others focus on the ideas, moods, or visual images. Nevertheless, I was surprised to hear that my colleague could not recollect common objects, except in an almost abstract form. So, for example, if he tried to recall a Coca Cola bottle, the best he could do is see an outline of the shape, a sort of stick figure version of a bottle. My colleague had no trouble remembering ideas, events, dates, places, etc. He just couldn’t visualize (very well). Instead of treating the propensity for storytelling about oneself as existing on a spectrum, and contextualizing it historically, Galen Strawson, in his “I Am Not a Story” (Aeon), divides people into two groups: story tellers and non-storytellers. His goal is to undermine the notion that storytelling about oneself is universal. He does so by offering counterexamples, a few instances of people who don’t experience themselves in terms of stories. This anecdotal evidence comes mainly from his experiences and those of several literary figures. But proceeding in this fashion is a risky business. From the evidence that he supplies we could easily conclude that he is dealing with outliers, that is, those whose narrative threads are much thinner than the typical person’s (in Western societies), so much so that it seems as if they don’t have a capacity for self-referential narratives. But like visualization, mutatis mutandis, we expect that most people have a facility for self narrative. No doubt outliers exist, but they are most interesting not as a proof against narrative’s general usefulness or pervasiveness, but as windows into how selfhood may get constituted in different ways. I think it’s false – false that everyone stories themselves, and false that it’s always a good thing. Okay, this seems reasonable. Sure. Sometimes storytelling may be problematic, not a good thing. However, later on we are offered ahistorical claims about human life that shade into the normative or quasi-normative, and support the notion that storytelling is intrinsically problematic—that is, not merely problematic in the sense that too many people are committed to a false universalism or a false belief that narrative is always a good, but that individuals who engage in creating narratives about their lives are suspect. But many of us aren’t Narrative in this sense. We’re naturally – deeply – non-Narrative. We’re anti-Narrative by fundamental constitution. It’s not just that the deliverances of memory are, for us, hopelessly piecemeal and disordered, even when we’re trying to remember a temporally extended sequence of events. The point is more general. It concerns all parts of life, life’s ‘great shambles’, in the American novelist Henry James’s expression. This seems a much better characterisation of the large-scale structure of human existence as we find it. Life simply never assumes a story-like shape for us. And neither, from a moral point of view, should it. Montaigne writes the unstoried life – the only life that matters, I’m inclined to think. But when the English dramatist Sir Henry Taylor observed in 1836 that ‘an imaginative man is apt to see, in his life, the story of his life; and is thereby led to conduct himself in such a manner as to make a good story of it rather than a good life’, he’s identifying a fault, a moral danger. This is a recipe for inauthenticity. One of the peculiarities of Strawson’s article is its striking lack of refinement in dealing with key terms and ideas, for example, person, self, life-story, and identity are not distinguished. (These are obviously important distinctions: a comatose individual remains a person even if his or her self is not present.) It is surprising to see Strawson overlooking these basic distinctions, especially given how much he has written on the self. Further, he never bothers to distinguish in any consistent fashion different kinds of stories or narratives—he says that the narrativists aren’t clear about these matters, but this doesn’t mean we should let him off the hook about defining his terms—so we don’t know what constitutes the basic features of a story, its necessary features, in order to make it a story and not just a chronology. At times he appears to assume that certain ways of dealing with experience are not narration, when in fact they may simply be a thin type of narration. The problems don’t stop there. Strawson also seems to suggest that people who claim that stories are important to selfhood are unaware of the fact that transparent self-knowledge is impossible. He makes it sound as if they are delusional about the possibility of self-knowledge, because they don’t appreciate the fallibility of memory. Strawson quotes Montaigne for the observation that he “knows his memory is hopelessly untrustworthy, and he concludes that the fundamental lesson of self-knowledge is knowledge of self-ignorance.” *** But the proponents of narrative don’t need to make grandiose claims about self-knowledge. Stories are always more or less true. Authenticity-seekers will try to make their stories as truthful and as consistent as they can, recognizing that total transparency is unrealizable, recognizing that ignorance comes with the territory. Strawson’s essay is something of a muddle in terms of how much it tries to cover and how much it runs together. In addition, it commits the sin that it rails against. The narrativists are, at best, generalising from their own case, in an all-too-human way. At best: I doubt that what they say is an accurate description even of themselves. * My approach here is more modest than Stawson’s. I neither seek nor claim to be addressing cross-cultural universality regarding self narratives, either pro or con. These are questions best left to anthropologists and historians. My comments refer to those living in Western cultures. *** Strawson appears to believe that limitations of memory undermine the value of narratives, because they lead to fictions, and this subverts the value of self narrative. The following passage is telling in this regard. ****Strawson doesn’t give us any evidence here. Any arguments. Just assertion. And there is no account of what criteria should be used to determine when and if a story is “accurate.” (By definition a story can’t simply be a repetition of events. It’s not a transcript. 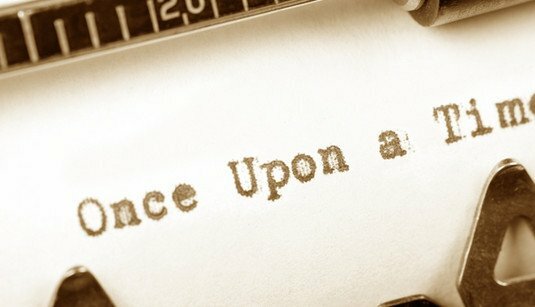 Therefore, stories must always introduce some degree of “inaccuracy.”) After taking the narrativists to task on the issues of authenticity and accuracy, Strawson leaves us in the dark regarding the question of how to balance the value of “accuracy” against the meaning that stories provide in the face of life’s trials. Contrary to Strawson, or your report about Strawson, I would argue that non-narrativists are much more likely to be immoral. Why? Because moral development and transformation occurs in great part due to recognizing one’s acts and their consequences—not jsut now but the whole arc of our recent lives. If one cannot connect present and recent history, and the (external) causes of one’s present experiences, intentions, etc., then one is much less likely to develop. Specifically, the person is more likely to be oblivious to the working of power, class, economics, etc. in one’s own life, or to understand them at best as an intellectual affect, an anemic understanding at best. You mention this line of thought in your second note. A nice response to Galen Strawson’s recent article on the self (and narratives more generally).